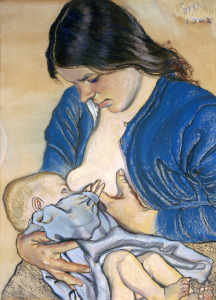 A Decision All Mothers Have to Make: Breastfeed or Formula/Bottle Feed? When it comes to food for newborns, options are rather easy. During the first six months you should either be feeding your newborn breastfed milk or fortified formula. What are reputable sources saying? You can read tons of articles online and get almost nowhere with various sources saying to go one way or the other – or even do both. The American Academy of Pediatrics is a very reputable source and here’s what they have to say on the matter: breastfeeding is the best choice for infants. •	Premature and sick babies should also be breastfed. •	Adoptive mothers should also breastfeed. •	Breastfeeding should be done anywhere from 8-12 times per day. •	Each session should last roughly 20-30 minutes, with 10-15 minutes on each breast. •	The advantages of breastfeeding far outweigh the negatives. •	Dr. Torbati can offer you personalized family planning advice in Tarzana tailored to your specific needs. If you’re concerned with costs – did you know breastfeeding is the least expensive way to feed an infant? Well, it is. There are many other natural advantages to breastfeeding over the alternatives. Visit our website to learn more about Dr. Torbati’s advantages and disadvantages to breastfeeding. 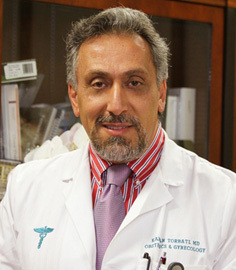 Dr. Torbati has successfully delivered multiple newborn children from many different mothers over a span of 20 years. He seeks to share his wisdom for mother-to-be’s in anticipation of their newborn child. He offers his personal tips on how to prepare for natural baby delivery. One thing present in every delivery is anxiety. Mothers (and the whole family) are generally excited and enthusiastic during childbirth. However, negative thoughts are common for the mother-to-be. It’s normal to feel as if your body is not strong enough to carry on through the final part of pregnancy. All women feel this. Yes, ALL. Half of your battle will be centered on easing this anxious feeling. However, squats and stretching work best. Squats specifically target the muscles that are responsible for delivery in the labor process. There’s no need to overdo it, either. No weights necessary. Simply follow proper squat form and perform a set or two daily. For stretching, try prenatal stretching exercises that trigger the muscles used during labor: chest, calf, back, and hips. There are plenty that can be found with a simple Google search of “prenatal stretching exercises”. They are not difficult to perform, either. By conditioning these muscles, it will help smooth out the process as well as alleviate a bit of anxiety knowing you’re well prepared. If you’re the type who is struggling to grasp how the situation will pan out and you’re searching for answers with no calming finds, then you may want to consider taking a class on preparing for childbirth. If a class does not sound convenient to you for any reason, then you could also schedule a personal appointment with me, Dr. Torbati, in my OBGYN office located in Tarzana. I would be delighted to describe the process in more detail and help you curb your anxiety. As a practicing gynecologist and obstetrician located in Tarzana, I’m thrilled to have a place where I can share important news, events, and updates regarding the wonderful world of women’s health with you. To help familiarize you with everything, I have been practicing for a little over 20 years now – having developed a sincere passion over the years for delivering newborns to many excited mother-to-be’s.